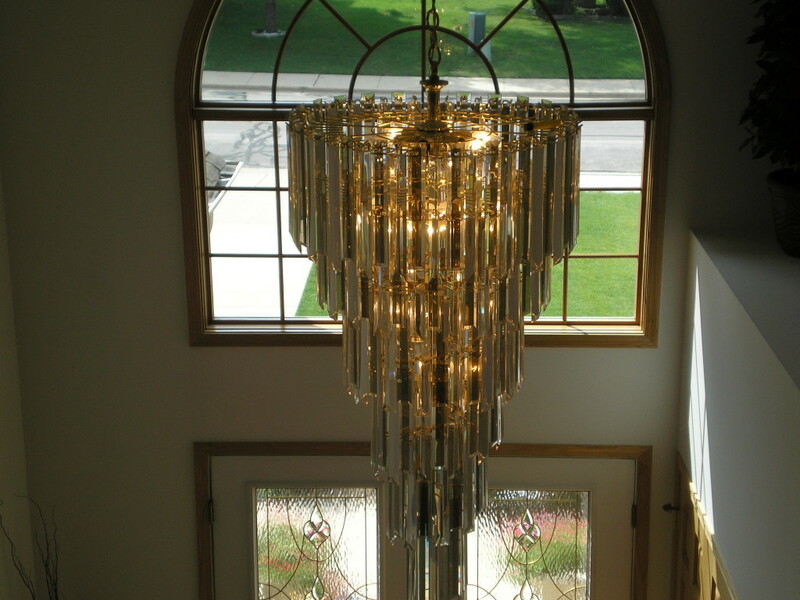 Chandeliers offer a spectacular accompaniment to entry foyers, dining rooms, hallways, and hotel ballrooms. Over time the brilliance and luster can fade as dirt and dust accumulates. IMPORTANT: The cleaning of a chandelier should be taken very seriously and only entrusted to true chandelier cleaning experts. 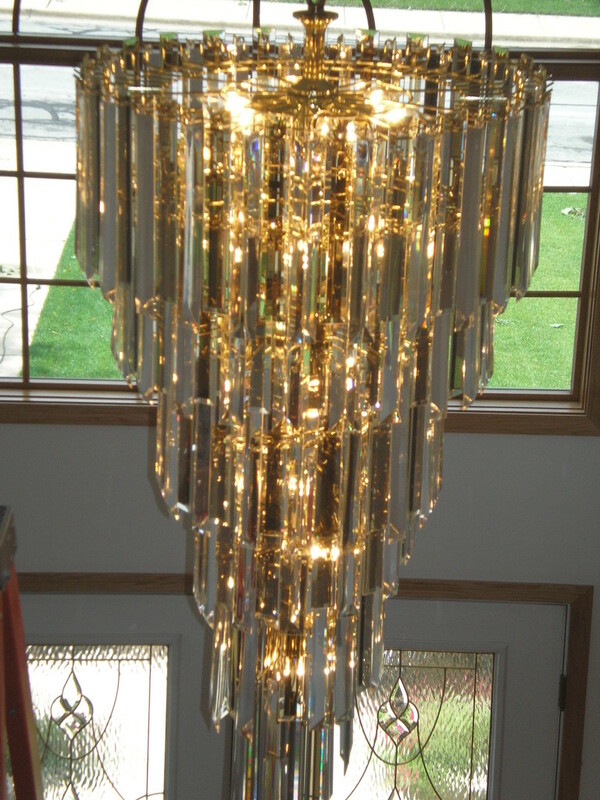 Many of our customers’ chandeliers are priceless and irreplaceable. So extreme care is always taken. Also to be cleaned correctly, most chandeliers require partial or complete disassembly. Special attention is critical during this process. P.E.C. Services chandelier cleaning and chandelier maintenance service is simply the best around. Photographs are taken of the fixture for reassembly purposes. Protective measures are then taken to ensure the safety of your chandelier pieces, property, and service worker. Recommendations for replacement or repair of bulbs or parts is provided. The chandelier is disassembled down to the main body. Each piece is either hand washed or cleaned using state of the art pure water no touch technology. The body is meticulously cleaned with an environmentally friendly cleaning solution that is specifically designed not to spot, discolor or etch. Each piece is reassembled to its original configuration. Chandelier is then turned on to ensure proper operation and quality of work.